It is also the story of immigrants to the New World, sugar, saccharine, obesity, and the health and diet craze, played out across countries and generations but also within the life of a single family, as the fortune and the factory passed from generation to generation. The author, Rich Cohen, a grandson (disinherited, and thus set free, along with his mother and siblings), has sought the truth of this rancorous, colorful history, mining thousands of pages of court documents accumulated in the long and sometimes corrupt life of the factor, and conducting interviews with members of his extended family. Along the way, the forty-year family battle over the fortune moves into its titanic phase, with the money and legacy up for grabs. 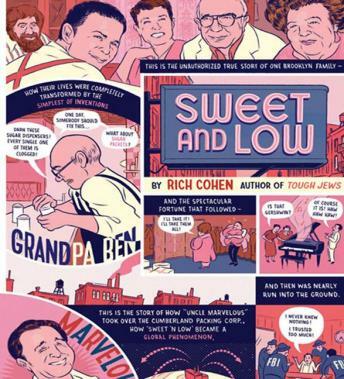 Sweet and Low is the story of this struggle, a strange comic farce of machinations and double dealings, and of an extraordinary family and its fight for the American dream.